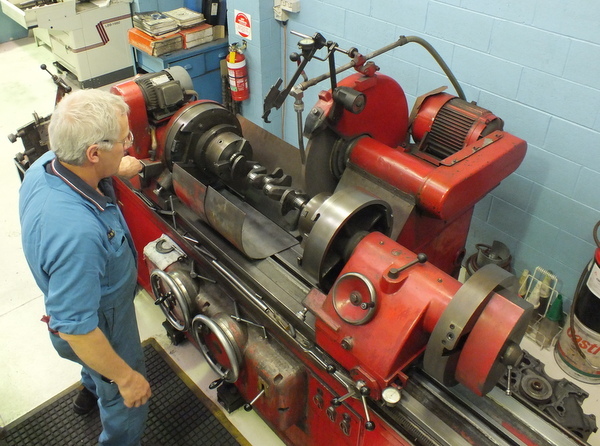 Grinding our own crankshafts we are able to have full control over the finish and sizing of your crankshaft. Our experienced staff will custom grind the finish size to achieve the desired bearing clearance then linish and micro polish to the desired surface finish. 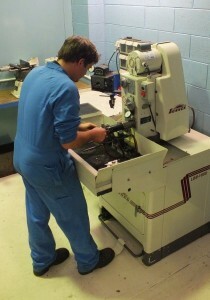 We can offset grind and stroke to exact tolerances. With the use of our new SUNNEN CH-100 line honing machine, we are able to accurately re-size and realign the main tunnels in the block using a long mandrel and stones. The main bearing caps are stripped by .003″ to .004″ on our sunnen cap stripper then tensioned to the manufacturers specifications before being honed to finish size. The honed surface finish will improve bearing contact and heat transfer. 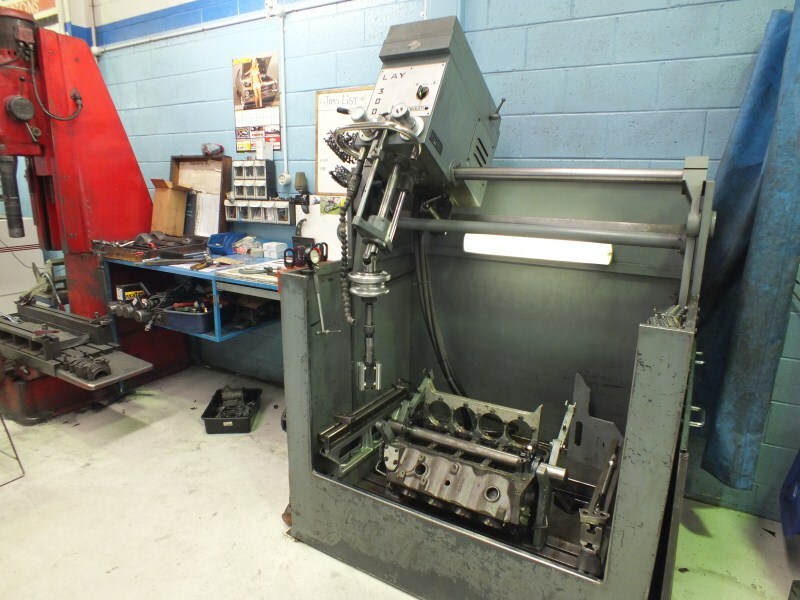 Our SCOU borer enables us to bore most cylinder blocks/barrels to required sizes or machine to fit flange or parallel liners on a step. Our centering tools allows us to set up the borer in the maximum wear spots to bore to a minimum clean up if required. 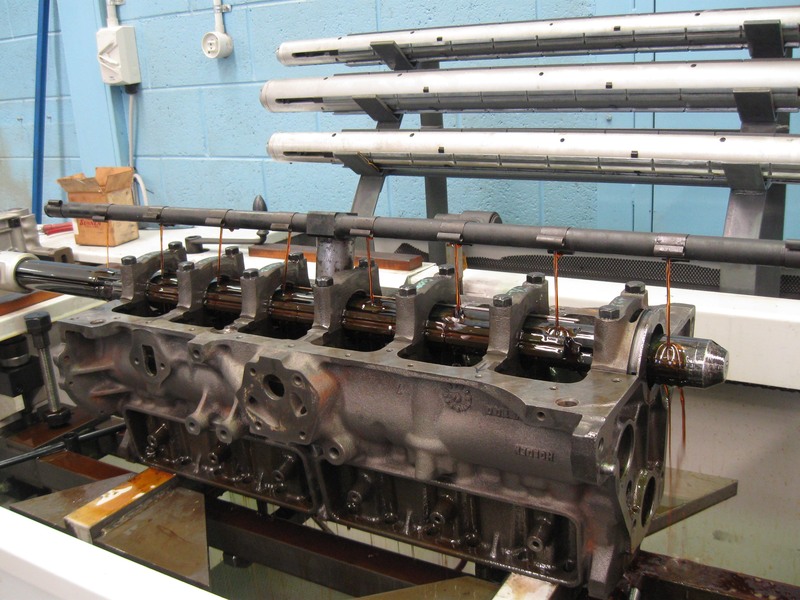 We will then final hone the cylinders with our LAY 300 hone using a variety of SUNNEN stone grits, we then finish off all bores with a?plateau hone to help with a quicker bed in and ring seal. A new SUNNEN resizing machine has been recently installed to continually improve our quality control. Whether it be the fitting of ARP bolts or the use of new OEM bolts, we are able to re-size the rods to achieve the correct crush and finish size. We are to pin fit your small end bushes on our Carl Larsson conrod borer to exact sizes before aligning your conrods. Some of our custom projects have meant that we have had to machine out the poured babbot/white metal bearings to a size to accommodate a slipper type shell. 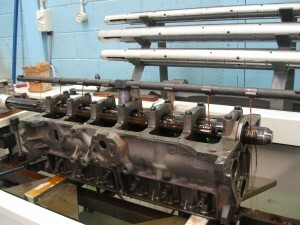 Our most experienced staff will assemble your engine in our purpose built engine room, measure and record all sizes and details to an M&W spec sheet for later reference.Using digital snap-on tension wrenches, quality Mitutoyo micrometers and premium sealants we follow very strict processes to ensure long term engine success. Since custom engines are our specialty, We take a lot of pride in the paint, detail and presentation of our customers projects. Where possible we will fill the engine with oil and fit a new filter to enable us to prime the oil system and check the cranking oil pressure.